Last Wednesday, I was invited by the lovely girls at Kiehls Grand Central to their #bbloggers event! I had such a wonderful time and I was so eager to blog about it. When I arrived, we were greeted with orange juice or champagne, muffins, cookies and popcorn! First of all, we all introduced ourselves, then we were told about the background of Kiehls. 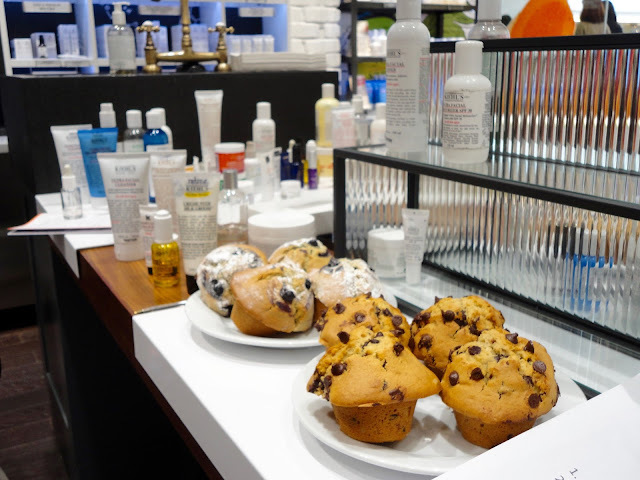 It began in New York 160 years ago and the ingredients used in all of their products are all natural - you'll find no artificial scents or ingredients here! 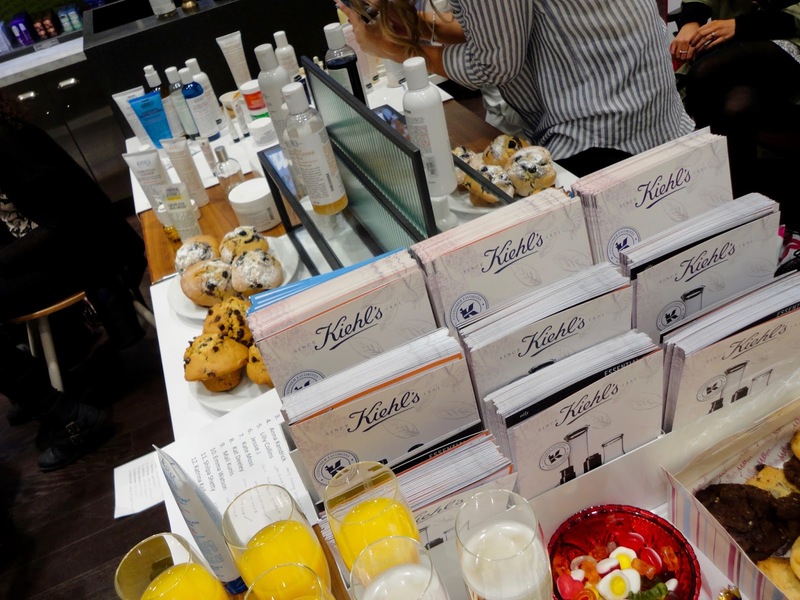 Then, we had a quiz where we had to guess which Kiehls products certain celebrities used. 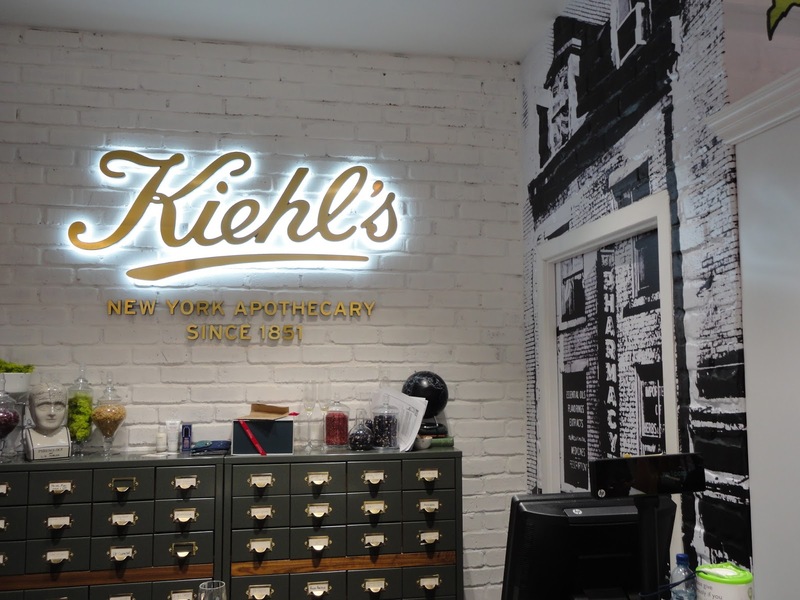 Did you Freida Pinto, Kylie Jenner, Nikkie (from Nikkie Tutorials), Lily Collins, Jessie J and Kate Moss all use Kiehls products?! 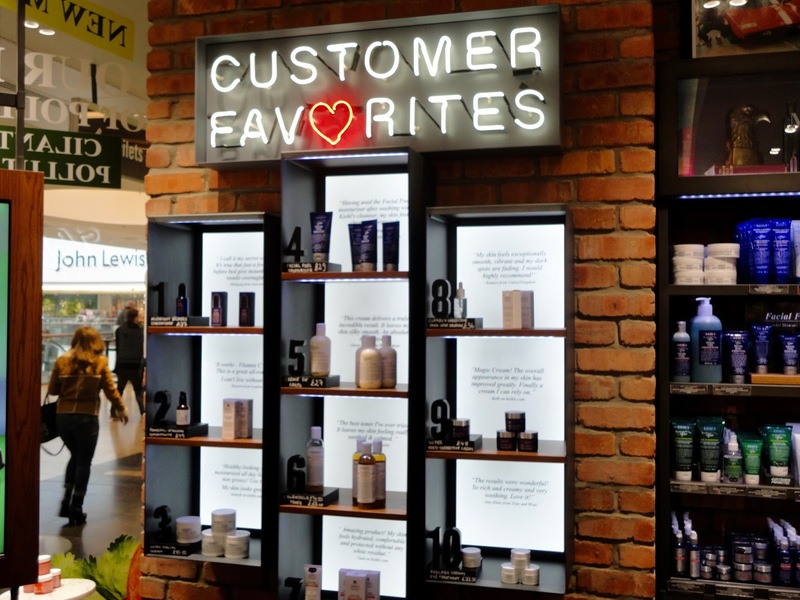 We got to check out the store in Grand Central (Birmingham) - I particularly liked the Customer Favourites area. 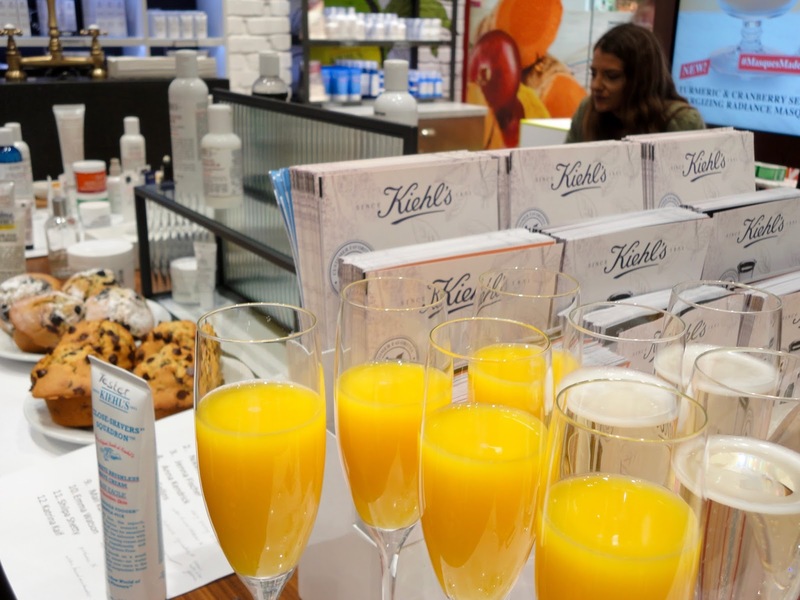 It's always interesting to see what the best sellers are - no.1 is their Midnight Recovery Concentrate - one of the Kiehls products I'd already heard a lot about before the event! Next, we got to get our skin analysed. Anyone can go into a Kiehls store and get this done - the girls just check your skin type using little tabs that they put on your forehead and chin. 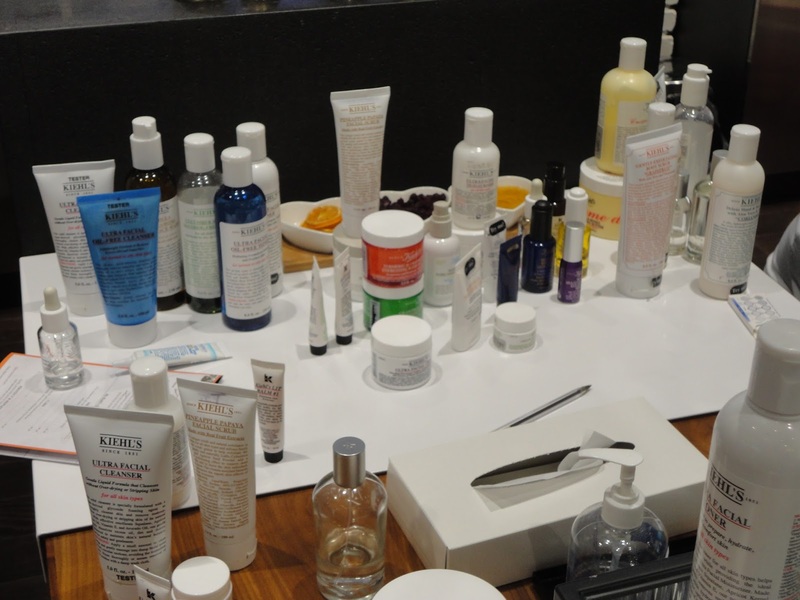 Then, they'll advise as to what the best products are from their ranges - I think this was really helpful as it can often be a bit overwhelming when you see tons of products and you don't know where to start! I was identified as having normal to oily skin - something I wasn't expecting as I had thought my skin was more on the drier side. May (one of the Kiehls girls) explained that this could be that my skin is actually dehydrated, so I'm back on the '2 litres of water a day' hype! I was recommended the Ultra Facial Creme, Hydro-Plumping Re-Texturising Serum Concentrate and the Daily Reviving Concentrate. I got to test out all the products on my hand, and they all felt wonderful. However, the student budget couldn't quite stretch that far (boo!! ), so I just got the Ultra Facial Creme as I've been looking for a new nighttime moisturiser. I'll have a full review of that up soon once I've been trying it out for a while. 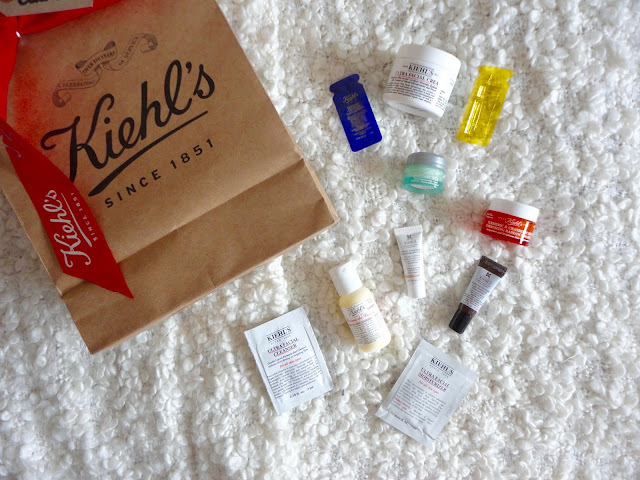 If you're stuck in a bit of a skincare rut, or just don't know where to start, I'd really recommend visiting your nearest Kiehls shop! The girls in Birmingham were so lovely and helpful, and I actually convinced my Mum to get her skin analysed and the girls in the Trafford Centre were lovely too! I got a few samples too to try out so I'll see how I get on with those too. Also, quick shoutout to the sweetest girls I met at the event - Asma, Kirstie, May and Jamie!